You will never look at your Tin Cans the same way again! 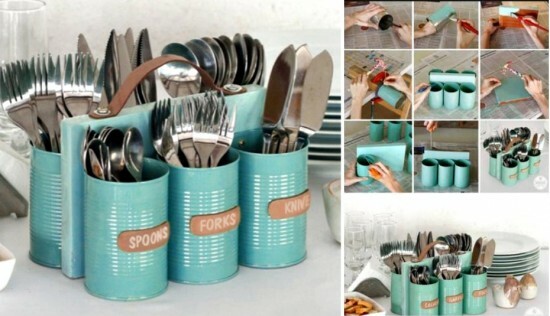 Upcycle them into a very handy Tin Can Cutlery or Craft Caddy. This is a great way to use those otherwise useless tins. We love this Upcycled Tin Can Caddy and it’s so easy! This will come in handy for BBQ’s, picnics and even for your craft supplies. They are perfect in the shed for small tools and brushes too. You can even use them for your makeup brushes! 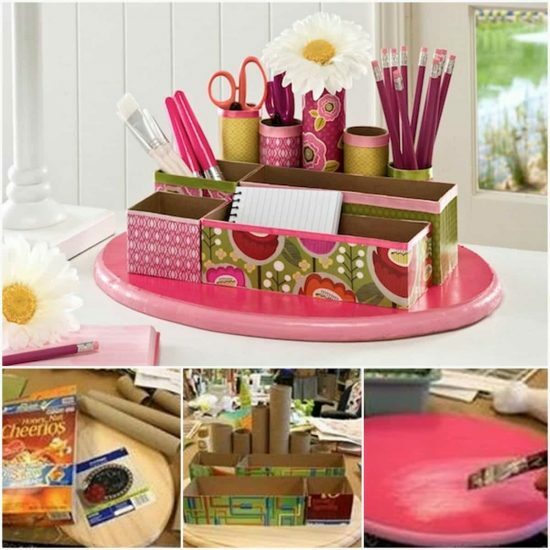 There are so many ways to utilize them daily and you can paint or decoupage them. They are ideal for growing seeds and displaying flowers and herbs too. We have also included the popular Stationery Organiser that is made from Paper Rolls. Scroll our page all the way to the end to view all the great ideas. Be sure to watch the video tutorial too. You can give your Tin Caddy the Shabby Chic treatment too like this gorgeous version. We are in love with this and they look great sitting on the doily too! 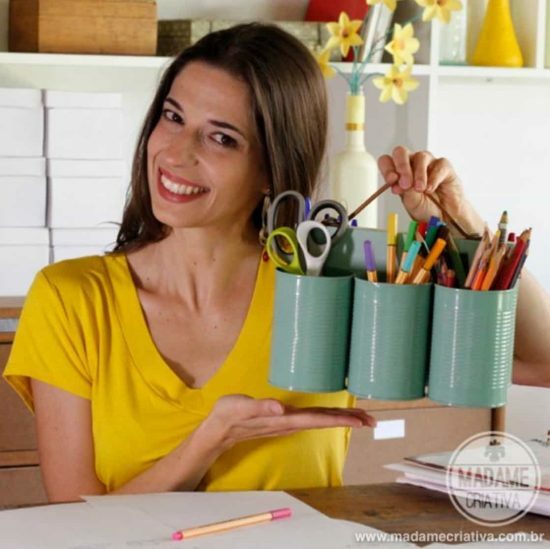 Paint up your Tin Can Caddy in bright colors. It makes a perfect homework station for the kids. There’s plenty of room for their essentials and it’s attractive enough to leave on display!